Happy Wednesday CottageCutz fans! It's Janet from SugarShine Designs. Today I'm presenting my final CottageCutz Halloween project of the season. In today’s video, I will show you how I used a die set that is part of the Christmas release along with two of the new Halloween dies to create a spooky glowing orb card. 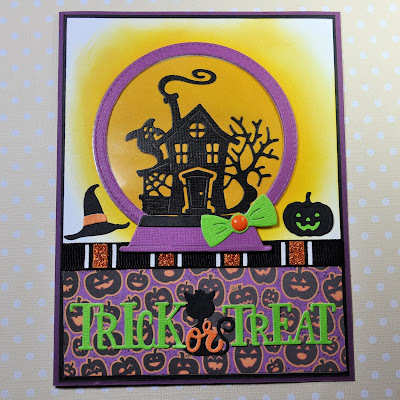 I know it’s getting close to Halloween but it’s still not too late to get new dies in time to make some great cards before Halloween arrives. Before I describe more about today’s project, I want to share exciting news with all of you. 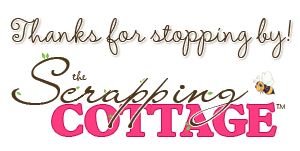 The Scrapping Cottage is sponsoring a VIDEO BLOG HOP on October 27th and 28th. It will feature several of the new holiday dies. Many prizes will be given away from the video artists and Scrapping Cottage is providing the Grand Prize! More information will be coming in a future post so keep an eye out for it. So back to today’s card! My inspiration is the orb that the Wicked Witch used in the classic Wizard of Oz movie with Judy Garland. I wanted to create an orb that looked like something was inside it and I wanted it to appear to glow from within. 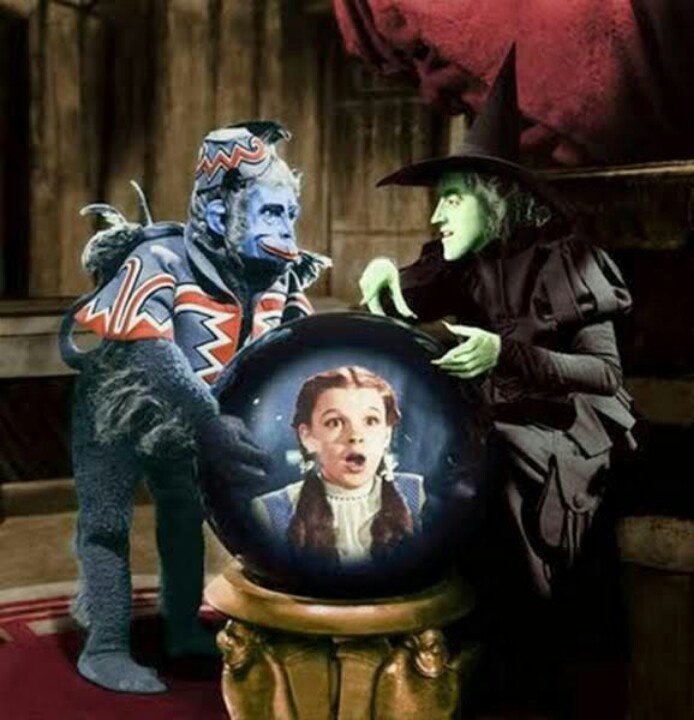 Unfortunately, I didn't have any flying monkeys or poppy fields available for my orb but that didn't deter me! I used the base and bow of the new Snowglobe with Fawn die but used the Stitched Circle Set to build a thick frame out of several cardstock layers and an acetate layer under which the Ghost House resides. Then I used the Halloween Phrase & More die for the sentiment. I also used the witch’s hat and the Jack O’ Lantern from the phrase set as additional props for the card. Click on the video thumbnail and learn more about how this card was put together. Well, thanks for stopping in to have a look at today’s project. I consider it a privilege to be part of the Scrapping Cottage family which includes the most important people – you! Have a great week! Janet, this card is so much fun! I like the way the "orb" glows from within. Also, thanks for reminding me about that sticky board in your video. I've got to get me some of that Press and Stick stuff next time I go grocery shopping. 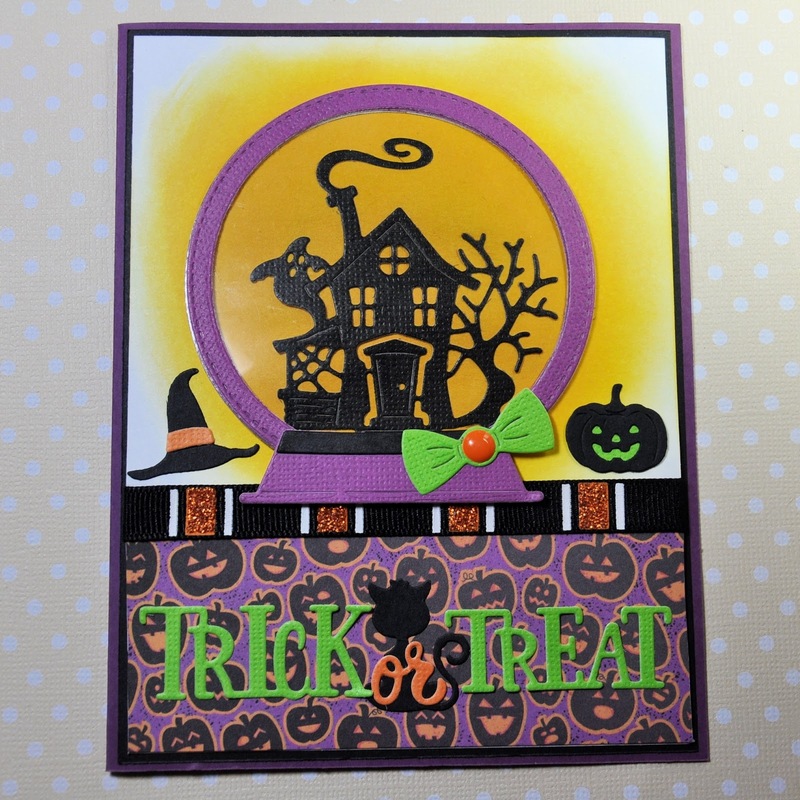 Love how you used the globe with the Halloween die so cool! Great video to as always! Fabulous Halloween card! I just love the snow globe and how you changed it up with the Halloween theme! I like how you used different dies on this card. Very nice! U used such a great combination of colors and the whole card looks so much fun. This card is SO FUN!!! Creative use of the snow globe die.